The journey through Nevada's desert, heading toward the bright lights and mega hotels of Las Vegas, can provide its own sense of adventure—a travelers' simultaneous experience of freedom through mobility and the solitude of the open road, a feeling that bonds driver to car and brings into sharp focus the channels of connectivity to the outside world. At the 2014 Consumer Electronics Show (CES), Kia Motors America (KMA) brings a collection of new and future technologies highlighting telematics and infotainment, each focused on creating a safer, more dynamic and efficient driving experience, with an eye on the expanding horizon of connected cars. 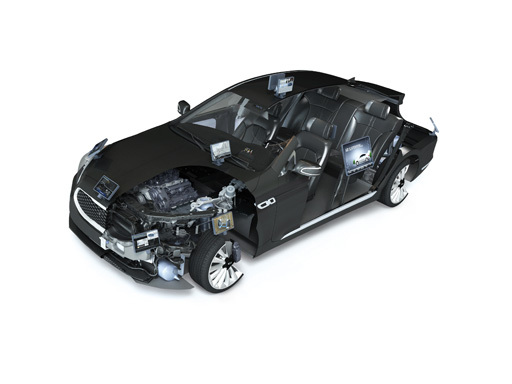 The cornerstone of these new technologies is Kia's UVO system, which serves as the catalyst for connectivity between driver and car. As a design leader, Kia will also feature the North American debut of its KND-7 concept car powered by a 1.6-liter turbocharged, four-cylinder engine and boasting head-turning, futuristic interior and exterior styling. <Br>"With UVO, Kia has a strong base to build from in the advancement of telematics and infotainment technology, pushing the boundaries of connectivity and convenience while maintaining safety as a top priority," said Henry Bzeih, chief technology strategist, KMA. "Kia's teams are constantly looking for new and better ways to strengthen the relationship between driver and car. Our real-world approach to in-car technology, coupled with compelling design and premium amenities has the Kia brand moving in new and exciting directions."